Make no mistake, Cancun is a very tourist friendly destination. Located on the Yucatan peninsula, Cancun is populated with mega resorts and over 20,000 hotel rooms. You can choose from up to 184 Cancun hotel deals. The economy is based on tourism and the people go out of their way to show tourists a good time. Cancun proper is actually two distinct areas. 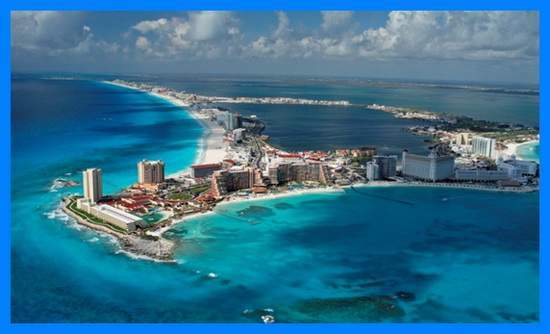 Cancun City is located on the mainland and Cancun Island is just off the coast. The island is the stuff of legend. Cancun Island the classic example of Caribbean beach paradise. Incredibly blue water laps slowly onto insanely white beaches. Light breezes roll in off the water as you lounge on a beach chair and contemplate important things like what you will eat for lunch. One of the slight downsides of Cancun involves beachfront hotels. They tend to be a bit possessive about the sand in front of them. Put another way, you better be staying at the hotel if you intend to plop down in front of it. Hey, it can’t all be great! As with any mega resort area, getting to Cancun is very easy. Most major airlines fly into Cancun City and the airport is very modern. You are required to have a passport and must fill out a tourist card at customs. The customs agents are easy going and I’ve never heard of anyone having any problems with them. If you want to experience a beach vacation in Mexico, you can do worse than Cancun. You will not get much feel for the local culture, but you will definitely enjoy yourself.